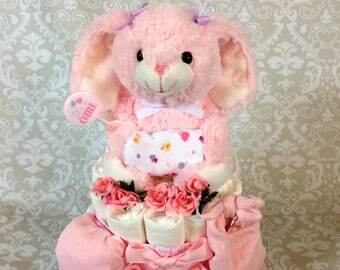 This 1 tier Diaper Cake is approximately 10" tall. It contains 34 diapers. The bottom tier is 12" wide. The cake weighs 2 pounds and arrives in an 12X12X10 box. This cake will require one week to create. 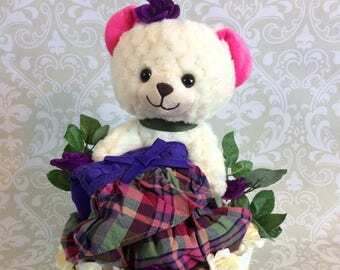 The exact cake pictured in this listing has been sold already, but shows an example of what I can make for you. 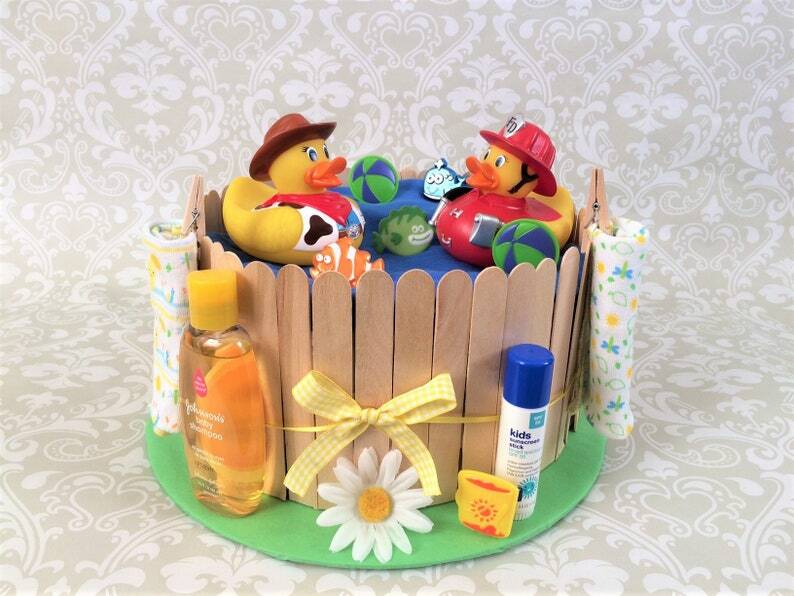 The swimming pool, jacuzzi, spa, hot tub, sauna, summer pool party diaper cake is made with 34 diapers. The diapers are covered with a onesie. On the outside of the pool area, there are two washcloths, a baby shampoo, a sunscreen stick and several daisies. Inside the swimming pool area, two ducks are enjoying the day. Each duck is a temperature indicating duck. If the baby's bath water is too warm, the bottom of the duck will indicate that danger. Everything in the cake is completely usable. No glue is used on the toys, toiletries or clothing. 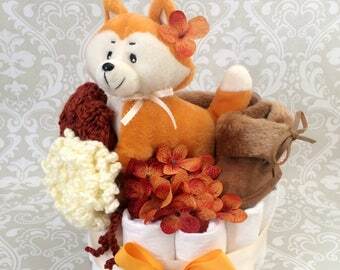 When ordering your own diaper cake, you can customize the theme, colors, patterns, ribbons, toys, and accessories that are displayed on your cake. 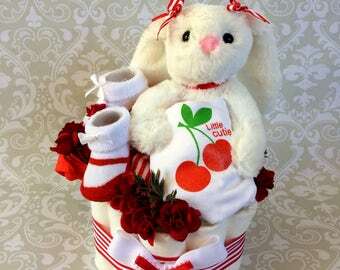 You just need to provide for me the new baby's gender, and a shower theme (if applicable). I will work with you to make the cake of your dreams.